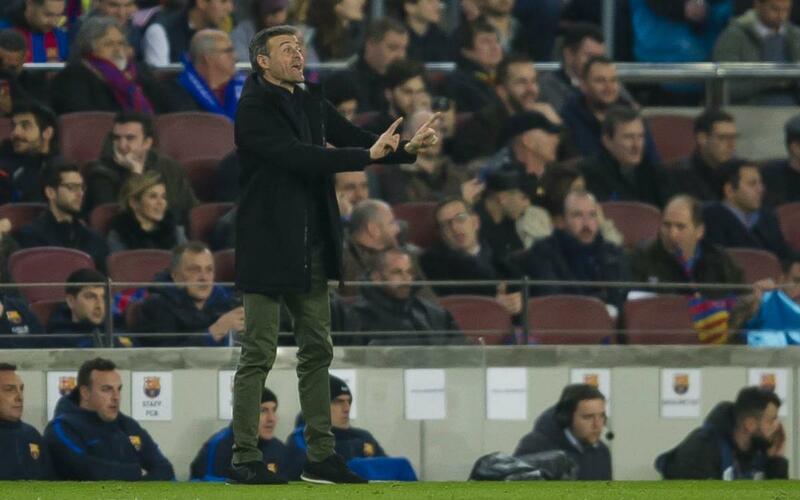 Barça coach Luis Enrique Martínez appeared proud to have led his side to yet another Copa del Rey, his third in three seasons with the Club and FC Barcelona’s fourth in row. The blaugranes now have the chance to record an historic treble of cup wins, something they have not achieved since the early 1950s.”We are a winning club and the fans are always up to the job. On a day like today they have put pressure on our rivals. We want to dedicate the Copa del Rey to the fans because they have been fundamental in us getting through the tie. We are in the final again and we will enjoy it,” said the Asturian to the press following the semi-final second leg against Atlético at Camp Nou. “It’s been a tough process and all our opponents have caused us problems,” recalled Luis Enrique about a run to the final that has seen Barça eliminate Hércules, Athletic Club, Real Sociedad and most recently Atlético Madrid. “The team knew how to soak up pressure and the fans as well. We had a bit of luck today but we deserve to be in the final over the two legs of the semi-final." Finally there were words of praise for Jasper Cillessen who once again proved to be a vital component in the blaugranes 2016/17 Copa del Rey campaign. “That’s why we have two keepers. He was excellent in between the posts and very precise when beginning moves. A top quality performance,” concluded the former Barça player and now coach.